When it was announced that Jacob Latimore would get a lead role in the musical “Black Nativity” alongside Tyrese, Jennifer Hudson, Nas and more, it was a huge boost to his career. Playing on the big screen and pushing him towards becoming a household name is the biggest promotional tool he can get when it comes time to release his debut album on RCA Records. Although his fans have been impatiently waiting for that project to release, there’s no doubt they can share in his joy over this career changing role. Now with his acting career having surpassed his musical career for the moment, he’ll look to even things out with the release of a new single at the start of the new year. 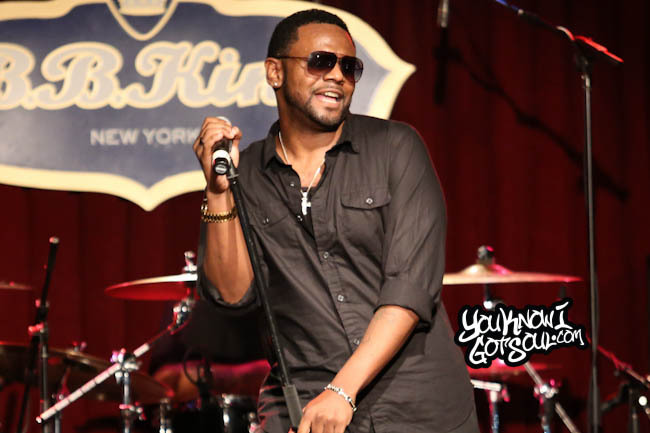 YouKnowIGotSoul sat down with him after his recent mixtape listening event in NYC and discussed landing the role in “Black Nativity”, having to be patient with his music, learning from the musical veteran co-stars in the movie, what he’s got coming next, and more. YouKnowIGotSoul: Talk about your role in the movie “Black Nativity”. Jacob Latimore: We read the script and I just found out I was the first person the director Kasi Lemmons saw for the role. I actually just found that out a couple of days ago. It’s great. YouKnowIGotSoul: Introduce us to your character in the film. 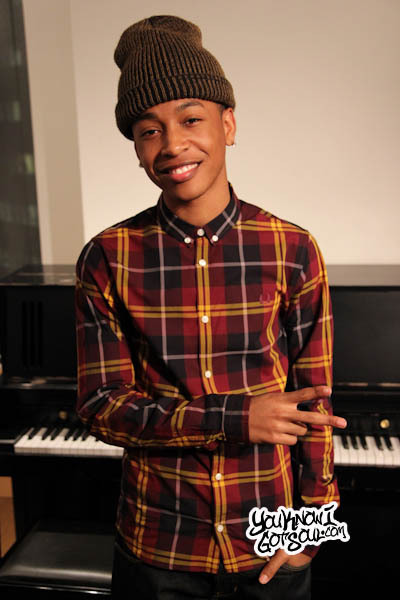 Jacob Latimore: Langston is a 16 year old boy from Baltimore. He lives with a single mom and they fall on hard times. He has a really strong relationship with his mother. Langston is forced to move in with his grandparents to New York, but he’s never met them before. He’s basically just curious to find out what happened in the past for them to not be together because he wants a relationship with his family. He doesn’t want to miss out on those opportunities. YouKnowIGotSoul: What does this role mean to your career? Jacob Latimore: It means everything for my career. Just to be in a film where I’m doing music and acting on a platform with a great cast, it’s amazing. It’s on a level where my music has never really reached. I’m just thankful. 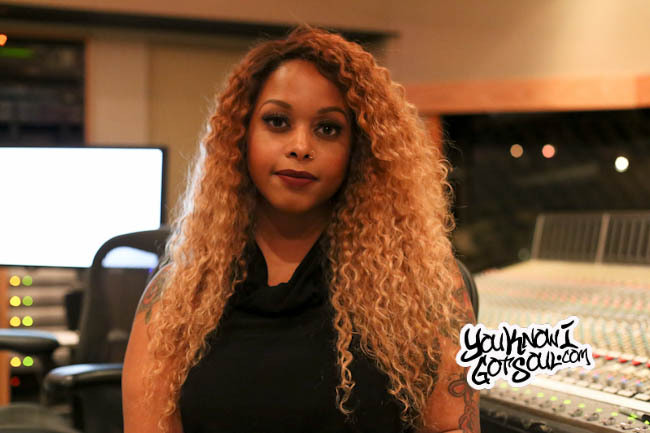 YouKnowIGotSoul: You played alongside with some music veterans like Tyrese and Jennifer Hudson. What were you able to take away from them? Jacob Latimore: Just by them doing what they do and just inspiring me as a young actor and young musician. That’s all they really had to do as far as being on set and staying focused. It made me stay focused and made me want to go back at home and study the script for the next day. YouKnowIGotSoul: Your film success has gone further than your music success so far. Has your film success made you more patient with your music career? Jacob Latimore: I don’t know if it has made me more patient. I’m definitely more anxious and excited just to be seen for my talents. I’m just happy overall and grateful. YouKnowIGotSoul: Talk about the mixtape you just released. Jacob Latimore: Yeah I just released my mixtape “This Is Me, Vol. 2” I did it just to keep content out to my fans. I did two films this year, so that took up most of my year. I’ve been idle from the studio, so I wanted to keep some content out and some relatable music. It’s free and it’s great music. You can download it at http://jacoblatimoremixtapes.com/. YouKnowIGotSoul: I know your fans have been waiting a few years for that debut album from you. Do you feel like your fans have been pushing you to get that album out? Jacob Latimore: My fans have done a great job as far as keeping my name and me relevant. Like you said, I haven’t really had a big single so it’s surprising when I go to these different cities and all these fans are coming out to see me for my own concert. That’s just incredible, so they’re very dedicated. I love them for that. YouKnowIGotSoul: You’re already in the works for another movie role. Talk about balancing music and acting and how you make time for both. Jacob Latimore: When you love what you do and you love doing film and music, you just make time for it. If one year you just want to do film, you do film. It’s all timing. YouKnowIGotSoul: You’ve been signed to RCA for a few years now. Talk about the growth in your music. Jacob Latimore: Just growing older, my music has definitely seen an evolution which is kind of cool. Right now I’m at the age where I’m not trying to be too adult or too kiddy. I’m just trying to find those clever and relatable songs for everybody to listen to. That’s the stage I’m at right now, but it’s definitely grown from “Like ‘Em All” to “You Come First” to the mixtape I have out right now. The maturity in my voice and my look, it’s there now. YouKnowIGotSoul: Have you found the music becoming more mature and the stuff you recorded a few years back being a younger version of you? Jacob Latimore: Oh yeah, it’s definitely matured. I think people still think of me as that 13 year old boy from the “Like ‘Em All” video. That’s why I put out mixtapes and I put out content out to show them the growth because like I said, I’ve been doing films and it’s been successful. I’m definitely just showing the growth. 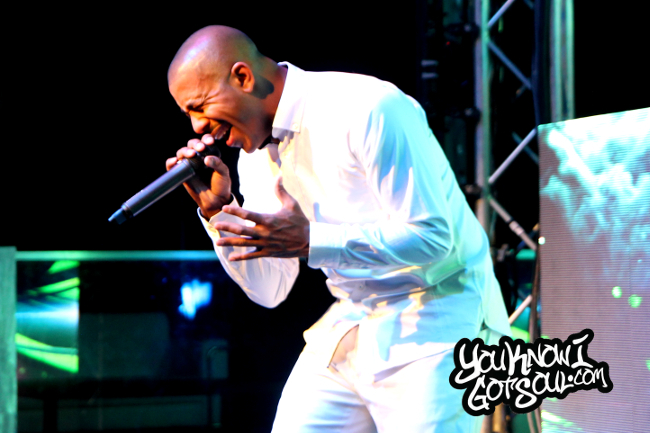 YouKnowIGotSoul: Talk about yourself as an artist because you’re a triple threat. You can entertain, sing and also write. Talk about using those skills as an artist. Jacob Latimore: When you love what you do, you try to do it all. I think in the music business now, you have to do more than just sing. You have to learn a little dance or two. You have to go into acting or film. You have to go into producing. I’m not really writing, but I’m starting to step into it now. I’m getting into the state where I’m relating to songs and really just feeling what I like and what significance it has on my life. I’m definitely getting into producing and learning how to play all kind of different instruments. YouKnowIGotSoul: The film “Black Nativity” is out and the mixtape is out as well. What can we expect from you next? Jacob Latimore: An official single from RCA at the top of the year. *Laughs* I filmed another movie this year called the “The Maze Runner” that comes out September 28th next year. I made a cameo in Kevin Hart’s new movie “Ride Along” that comes out January 17th. It’s with him and Ice Cube. I’m really excited about that because Kevin Hart is one of my favorite comedians. It’s a small role, but it’s exciting for me. I just want to continue doing film and my music for sure. YouKnowIGotSoul: What do you feel like being on the big screen does to promote you as an artist? Jacob Latimore: Doing a holiday musical, it can be helpful because you’re doing music and acting. You get to show off a little bit of yourself in a character that you’ve been working on. It’s just really cool because you can express yourself in two ways on this big platform. Jacob Latimore: Follow me on @JacobLatimore and Instagram @JacobOLatimore.